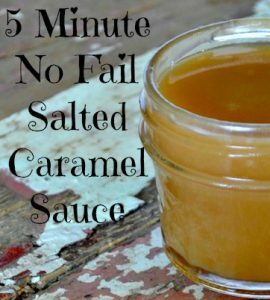 This is the perfect go to, no fail, Caramel Sauce. It’s so quick and easy to make you can make it in under five minutes. 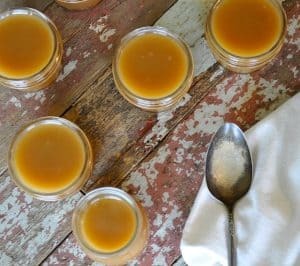 You could have hot caramel sauce for ice cream in less time than it takes to run to the store. And what could be better than homemade? Oh yes, that’s right, add a little salt and you’ve got SALTED Caramel Sauce. If you know me AT ALL you know one thing I refuse to do is run to the store for one little thing. One reason is that the three dollar jar of caramel is going to cost me 25 bucks by the time I get done in the store.  And for another, I live in Alaska where half the year I don’t want to drive at all. So when the urge to make ice cream sundaes with the perfectly salty twist I make my own homemade version, and you can too! It’s so simple your kids can make it with hardly any help from you. It’s perfect for giving too, a nice jar of this and a quart of good ice cream would make anyone happy. I also like to take it to Palmer Food Swap, it’s always a winner there! 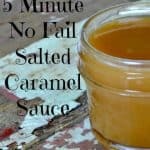 This is the perfect go to, no fail, Salted Caramel Sauce. Isn’t that easy?? Now go make some! And be sure to share this post with your friends, thanks! I clicked on the link saying “Please, please, please, let me have all the ingredients” in my head. So sad. I don’t, but once we restock in the new house I am fairly certain it will be made ASAP. Love salted caramel, especially in homemade lattes. This looks so delicious. I want to make it asap!! But first, what is Fleur de sel? Can this be canned? ?? No I don’t think it can be canned–I would think possible with a pressure canner but I don’t know for sure. Ask at your local extension office for advice!